Some couples are really lucky as they not only share common interests but also pursue their passions together professionally. The husband and wife team of Lily Mordà and Timothy James behind Beaded Lily have a truly remarkable story. It starts in Seattle where they met and married. Both loved all things Italian. Lily herself is of Italian heritage. When they eventually vacationed in Italy, they were so charmed with the place and the Italian way of life that they stayed. They sold everything they had in the US - Tim's cafe and Lily's bead shop - and eventually settled in the historic city of Florence, the capital of beautiful Tuscany. 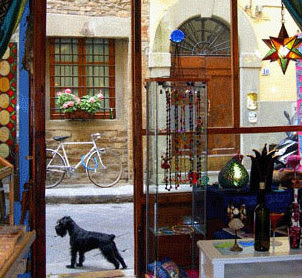 They have a studio/shop there in the Oltrarno artisan district, complete with a shop dog named Siesta! Tim is now a noted lamp work artist supplying designers including famous design houses like Ferragamo and Escada. He also teaches - people from around the world attend his classes. Lily is the jewelry designer/instructor. 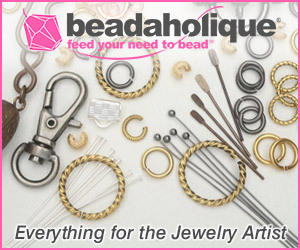 They not only sell hand made beads and hand-picked locally made products but also one of a kind jewelry supplies. Check out this video to learn more about them and what they do. 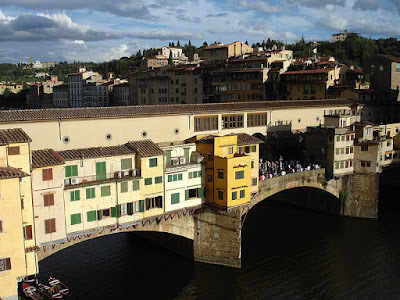 There are some lovely pictures of Florence too to inspire future vacations. The lovely young woman modelling the jewelry is their daughter Leah who was just 9 when they first moved to Italy. This promotional picture taken by Mollie Pritchett has the medieval stone Ponte Vecchio (Old Bridge in Italian) in the background. Makes me want to book the next flight out there! Tim makes really lovely lamp work beads in the traditional Venetian style. One of the wonderful supplies they sell in their store is Italian tubular wire mesh ribbon. They add "because we are located in Italy and this is indeed an Italian product, our prices are virtually 1/3 to 1/2 less than American distributors of this unique product." 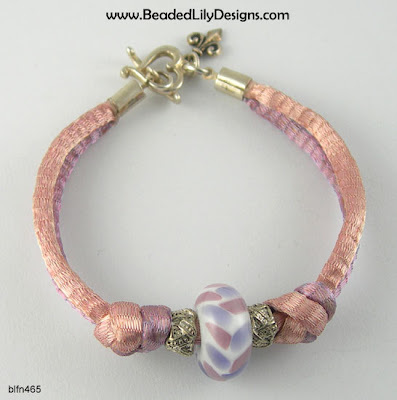 Shown below are a couple of Lily's design inspirations using the mesh and Tim's beads. Also check out the tutorial page for tips on how to use this material. 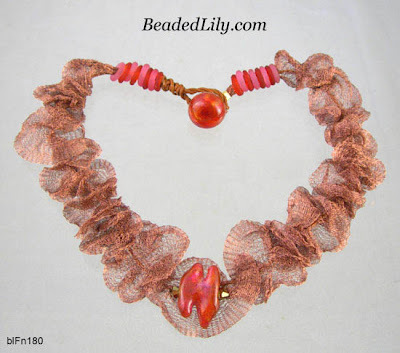 There is also the recent color graduated wire lace necklace tutorial I wrote about. A 10% discount code is also available to readers on orders over 20 Euros ( their checkout will handle international currency). Just use "BEADEDLILYDESIGNSVIP" during Step 2 of the checkout process under the discount code heading. If you'd like to try your luck for their 25 Euro gift certificate giveaway, all you have to do is make a comment below. 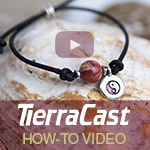 This international giveaway ends in a week's time at 6 pm EST Monday, March 19, 2012. I will pick a winner randomly and announce the results as soon as possible after. So be sure to leave a contact email if you don't have an online link or make sure you come back and check! Good luck! What a great idea, to live your dream! I really want to return to Italy. I am a follower in Facebook and a a blog subscriber. I really want to visit Italy... one day! I read their story a few months ago. I love how they followed their dream! What a wonderful giveaway. I've been intrigued by wire mesh for a while, and would love to play with it. Thanks so much! I have liked on FB. 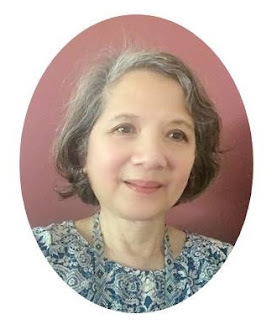 My Mother is from Italy and It has been a life-long dream to visit(or if lucky enough, STAY)here in my beautiful ancestral country!! It would be an honor and a pleasure to win this giveaway and THANKS for such an inspirational story of two wonderful Artists!!! I follow on Facebook, subscribe to your blog and appreciate this opportunity!! Wow the beads And jewelry are beautiful. I'd love to win this! I'm a subscriber and FB follower. What a wonderful story! Off to check out their shop to drool and plan for payday! Wow, I'm jealous! I wish I knew about their shop when I was in Florence, I would have visited for sure! Thanks for the chance to win! I follow your blog and I'm a facebook follower! I'm sharing on facebook right now! Beautiful beads, beautiful story, beautiful location. Tim, Your beads rock! 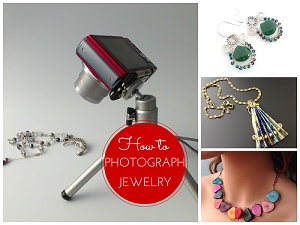 I love the way you use the wire lace in you necklaces. Very cool. Im off to Facebook and your blog to see more!! So beautiful!!! The love shows through. I just love Lampwork! Lily's beads are beautiful! What a wonderful looking torch! I do a little dabbling in lampwork but have a very small torch! I like the spirit of this team! What a wonderful and inspiring story! Thank you. Years ago I found some picture postcards of Florence and still look longingly at them. Good luck to Tim and Lily in their very nice store. Definitely a great find. Such beautiful work! And I follow you everywhere. And I will share! Sharing this post on both Facebook and my blog at http;//andrea-needlenotes.blogspot.com Thank you! 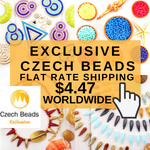 Fantastic beads - what a lifestyle! Thanks for the chance to win, too. 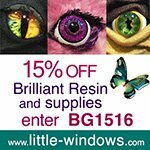 I just visited their page and from the little I saw, I have to say, that their work is exquisite. And I don't believe that I hadn't discovered your blog earlier!!! It's perfect. I just became a blog subscriber. From now on I am a fb follower also. Heading to Italy in May for our 35th anniversary. 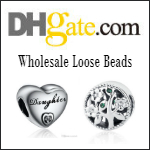 It would be awesome to shop for beads there! Just became a blog subscriber! I've taken a week-long class with Tim and had the most wonderful time. I'd recommend Tim & Lily for an enormously enjoyable time. Please enter me in the drawing. I would love to play with wire lace. I also follow your blog, and on twitter and facebook. Lovely things. Please enter me in the contest. It's nice to follow your dream. I envy you. 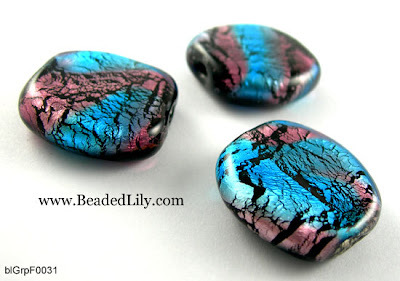 Really love lampwork beads. These would make a lovely addition to my collection! 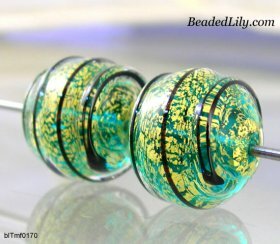 Really love lampwork beads... These would make a lovely addition to my collection! Cool! I'd love to win this! I've never been to Italy, but I'm sure I'd go there someday. Beautiful beads. I'm a fan, follower, twitter follower!!! The both of you have done what I've always wanted to do -- live and work in Italy. I still do. I'm single so there's no excuses, just don't know how to make a living over there. Your story is so precious to my heart. If you ever need an employee, let me know. I lived in Italy as a child, Dad was military, and every time I see the pictures of Italy my heart sings. I just can't get over the braveness of what you did. I admire it. Thank you for sharing. Keep on doing so. I watched your video 10 times and I have marked it for more views. I also have a facebook page I'm going to post your link too. I would cherish these beads with so much warmth and love. They would always be mine. I could never sell them. They have powerful energy. I'll say prayers I win.